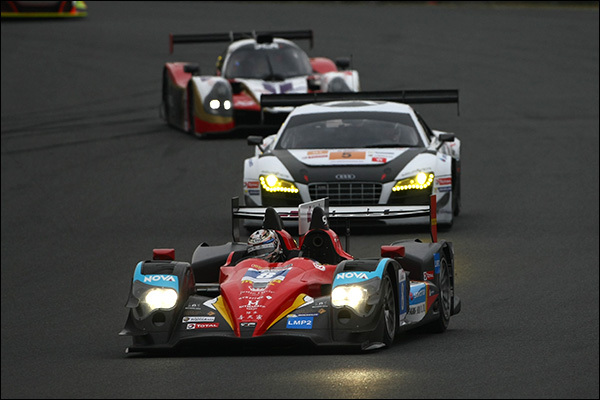 The #8 Race Performance Oreca Judd won an, at times, very closely fought first round of the 2015/16 Asian Le Mans Series over 2 hours at Fuji International Speedway. The opening salvoes of the race saw polesetter Shinji Nakano make a mess of Turn One and spend the rest of the first stint battling to keep on the tail of Tristan Gommendy in the #99 Eurasia Oreca Nissan as the pair set consistently faster and faster laps. Gommendy opened up a gap before a Safety Car got the pair nose to tail again and thereafter it was close almost to the first pit stops until a moment for Nakano saw the gap up to 9 seconds from just tenths. The Japanese driver made inroads into that but not close enough to pass and it was left to Nicolas Leutwiler to make his better pace pay against Eurasia’s second driver. In truth it turned out to be an unequal struggle, the Eurasia machine, and the second and third drivers, both well down on track time after the car’s water pump issues yesterday, then with a battery problem at the second pitstop followed by a late race puncture. This team will get stronger later in the season for sure. Behind them there was an impressive debut from the Ligier JS P3, the world’s first race start for the new LMP3 coupe coming with DC Racing, Ho Pin Tung and Team owner David Cheng opening their account with a win after a fast untroubled run for the new car. 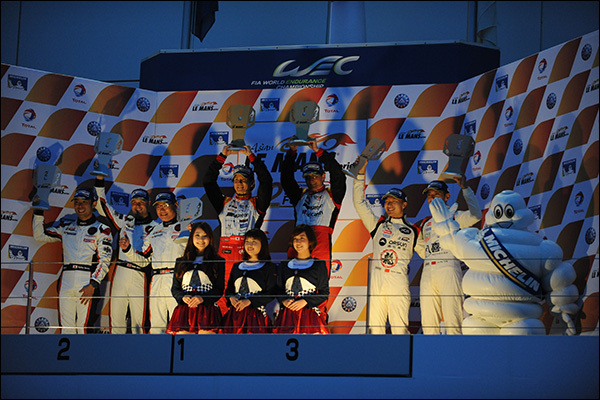 A great result then for the new Ligier but it would not though be on the second step of the podium! The other LMP3 debutants, the Adess 03s weren’t so lucky! On the upside both cars stared the race, the customs issues for the inbound nose box for one car solved and the replacement driveshaft for the other (believed to have been supplied by a very sporting Ligier outfit) arriving in time for Adess and Team AAI to get both cars to the grid. It was a short lived debut for the #88 car though,after a good run through much of the GT field the #88 car stopped at T10 bringing out a Safety Car to assist its recovery. The sister car fared better, made further progress though the field into the top 5 but was not able to match the Ligier’s pace. It’s race ended in the final half hour, Matsui pulling off the circuit at T11 into retirement. Two very new cars, they will have better days. 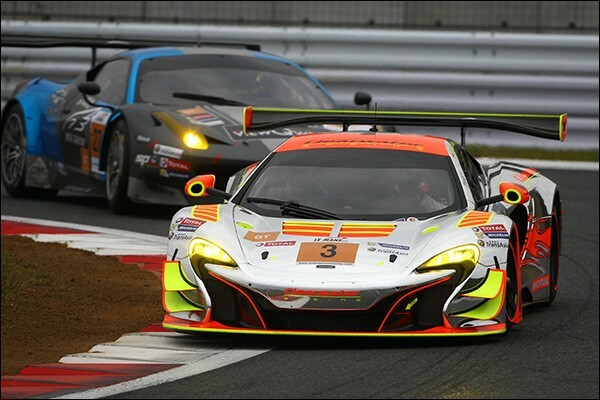 The seven car GT field provided plenty of entertainment but eventually was dominated by the #3 Clearwater McLaren 650S GT3 of Mok Weng Sun, Keita Sawa and Rob Bell, the starting driver getting the car to the front and keeping it there through to the first of the two compulsory 75 second pit stops (for this 2 hour race). 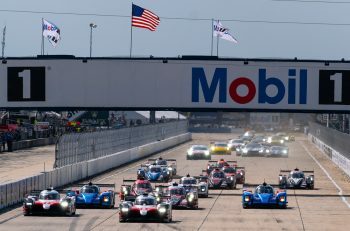 Sawa too was super consistent with Bell adding the late race punch that saw the car move back to the lead as others exercised their pitstop strategy differently. 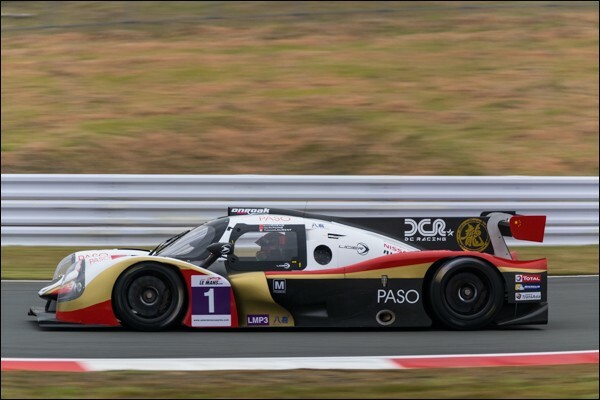 That pace also saw Bell hunt down and pass the LMP3 leader as David Cheng’s late race pace eased off, eventually finishing a lap down on the race winning Oreca, and 20 seconds up on the DC Racing Ligier for an unusual three class overall podium. A fantastic run from a car that was rebuilt almost from scratch with work only completed on Thursday! Hugely consistent pace from Rui Aguas saw the #38 Spirit of Race Ferrari finish second in GT, 4th overall, taking the advantage over the #92 Team AAI BMW, 4.7 seconds the gap at the flag between the two. 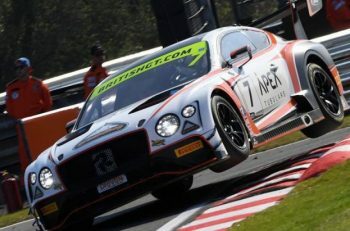 Behind that battle there were two hard-charging runs from Pierre Kaffer and Alex Yoong in the two Audis, both though had too steep a hill to climb, Miro Konopka had led the class mid race in the #7 ARC Bratislava car but only by dint of a later first pitstop than most, Kaffer’s charge saw him close to 68 seconds behind the second place fight. The Absolute car meanwhile had an early race clash with the #91 Team AAI BMW which eventually saw the Z4 pit and retire. It was a long way back from there with the Audi too pitting for remedial work but rejoining. 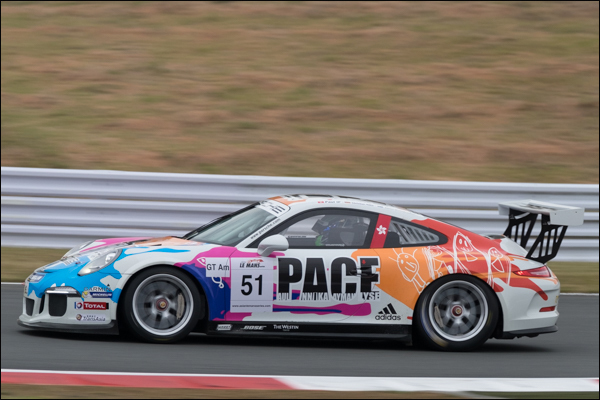 Finally a fast and consistent run from the solo GT Am entered #51 KCMG Porsche saw the car well in the mix at times, certainly an entertaining enough experience for the crew to encourage others to follow in their lead, their consistency saw the car come home ahead of the slightly delayed #27 Nexus Infinity Ferrari 458, both though would finish in the overall order ahead of the final classified finished the #99 Eurasia Oreca. 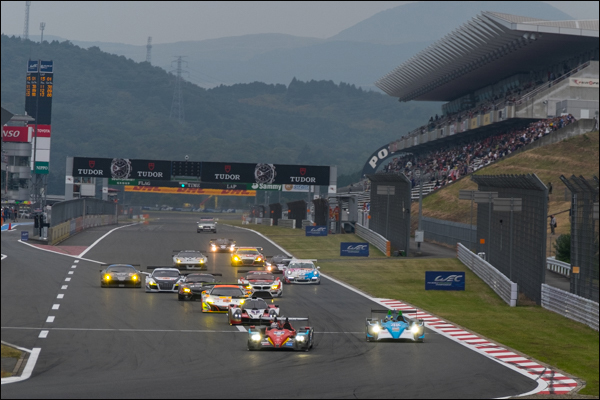 Overall there are two ways of looking at the opening round of the 2015/16 Asian Le Mans Series. You could concentrate on the car count – but you may well be very wrong t do so. The other way is that which we have heard consistently from the teams here. They are very encouraged with the product, encouraged enough for several to already be making noises about bringing more cars, and encouraging others to do so too. There will be no miracles any time soon but a steady growth here would not be a surprise to those who asked he right questions!